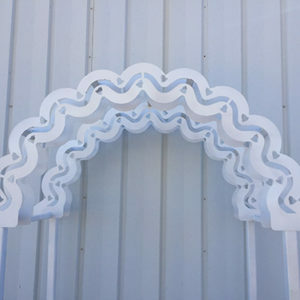 This is a beautiful arch with wedding bell cut outs accross the top. 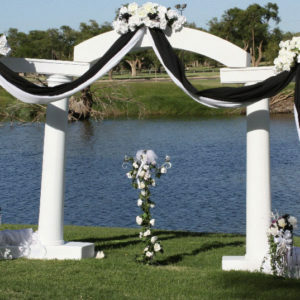 Add some floral or draping to really dress it up! 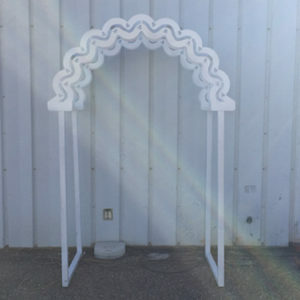 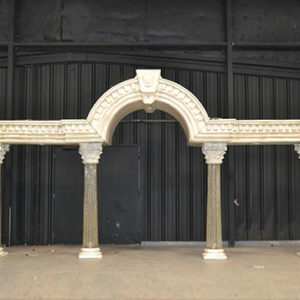 This arch is 62 inches wide, over 7 feet tall, and 33 inches deep. 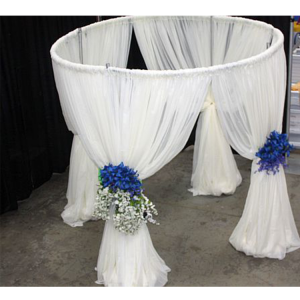 Round Pipe and Drape 10 ft.